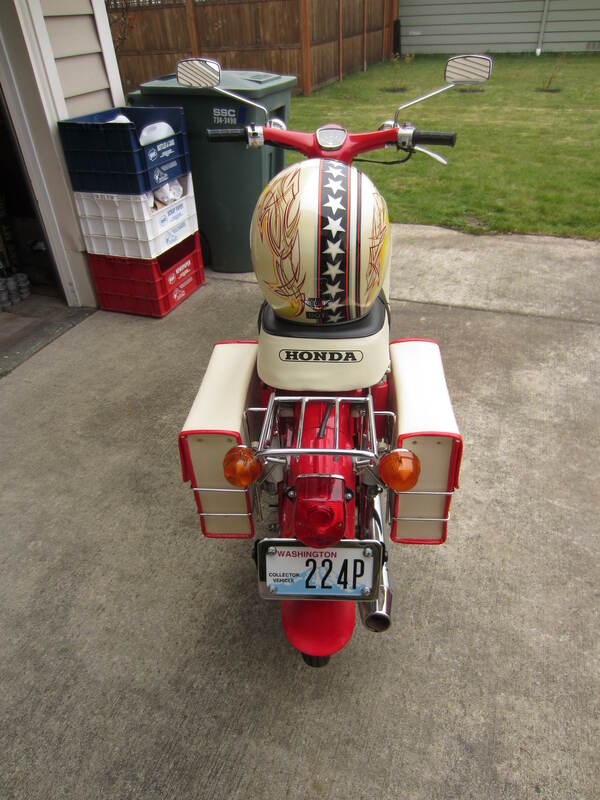 A Honda Passport / Cub! I love the “Adventure Touring” style look of this build! 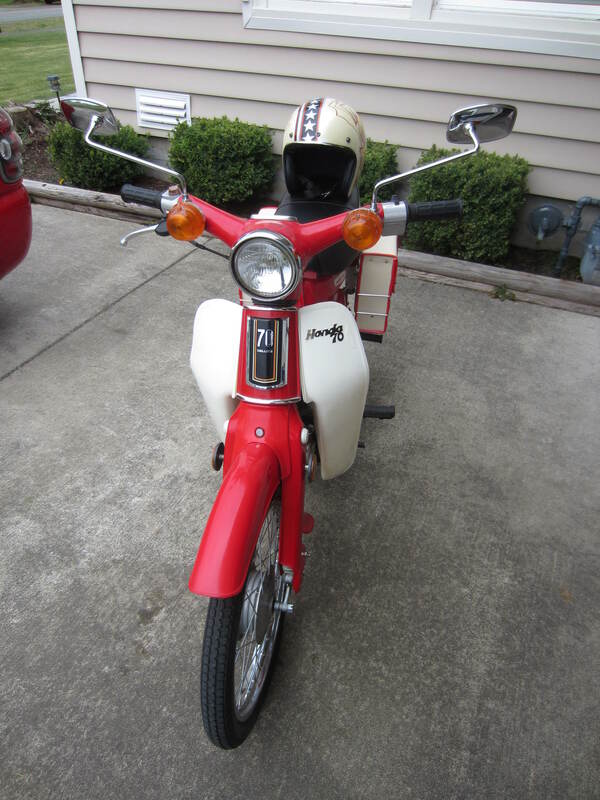 Here is my 81 passport I turned into a Cub 70. 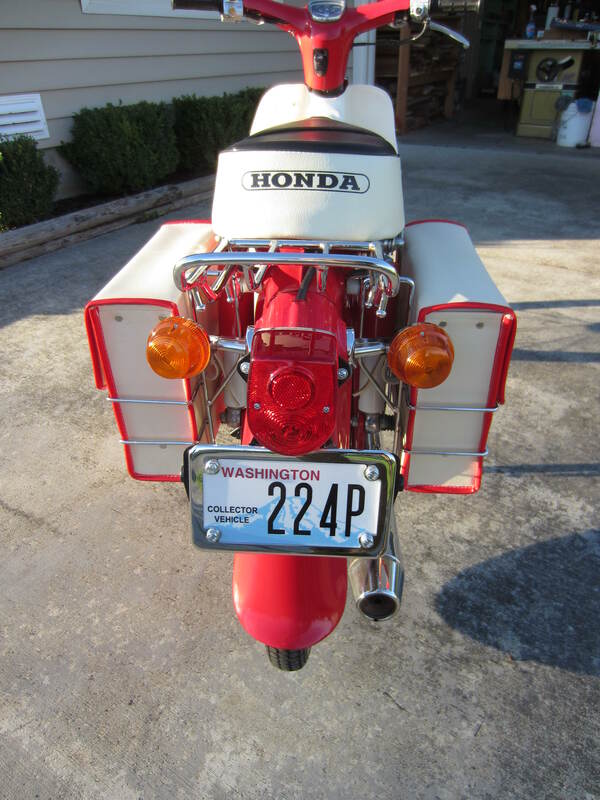 Relocated the turn signals in the front and rear, small Honda 50z tail light and saddle bags from Thai Land! My grocery getter! Dave Shupe. Bellingham WA. I’ve been fascinated with the motorized bicycle concept for a while now. 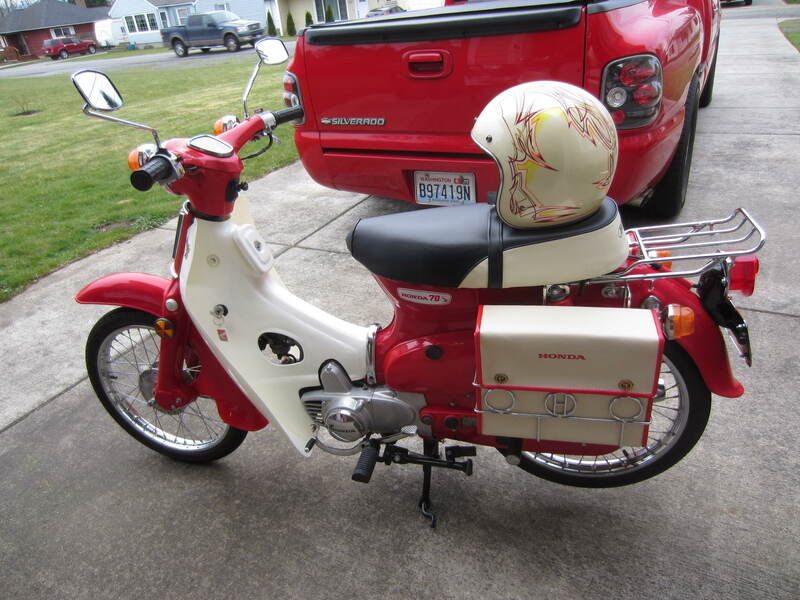 I’d like to drop at least 50 pounds just to ride one of these! Great idea! 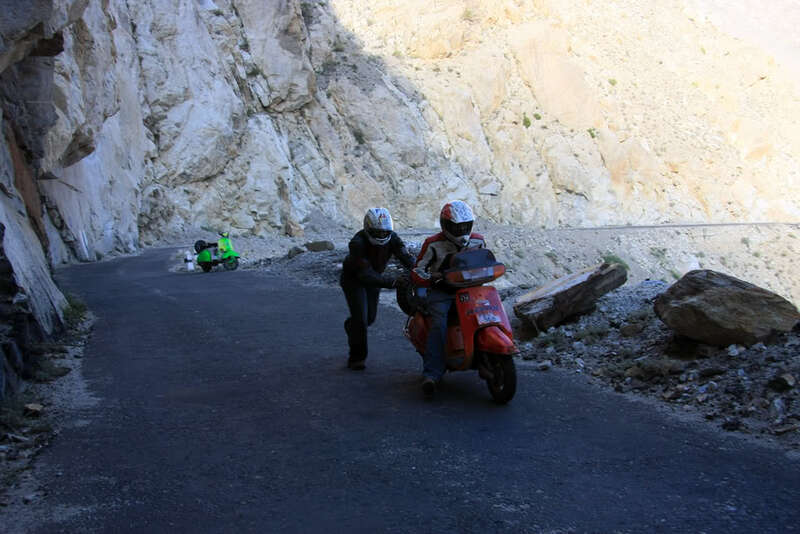 The awsome power of….The Honda Mini-Trail. I suppose in terms of sales it might have been King Kong there for a while. 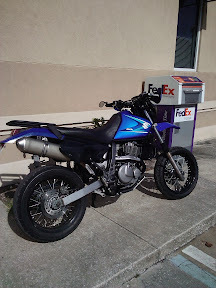 AKA the Z50, AKA the “Monkey Bike”. 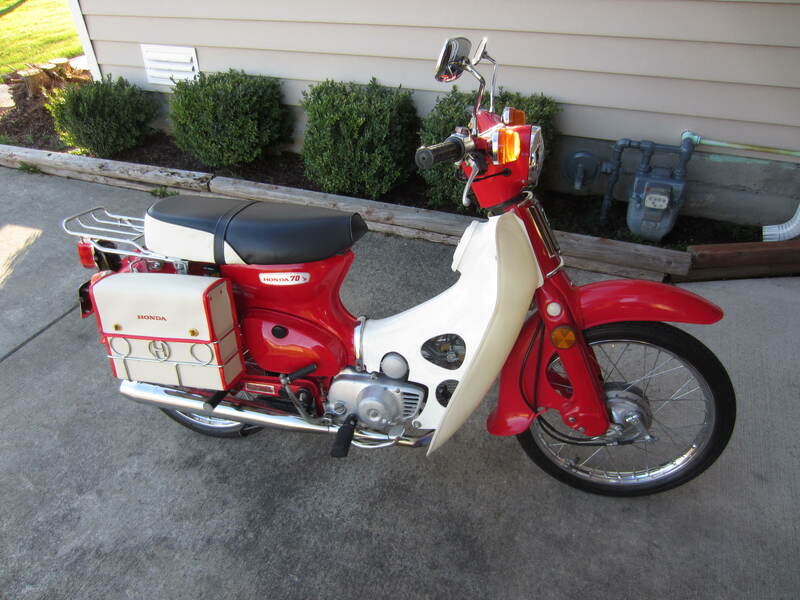 I started on a Z50 myself about 40 years ago. Gave the bike to a friends little brother at some point. Last I heard it was still going strong. Those tires were a PITA to change. 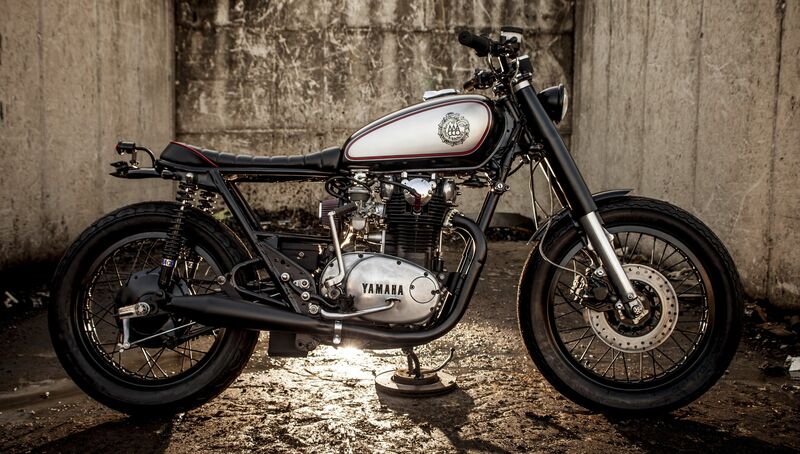 An excellent RX-K 135cc Yamaha Cafe from Malaysia. I’m getting a real soft spot for the small cc customs and this is certainly no exception to that. 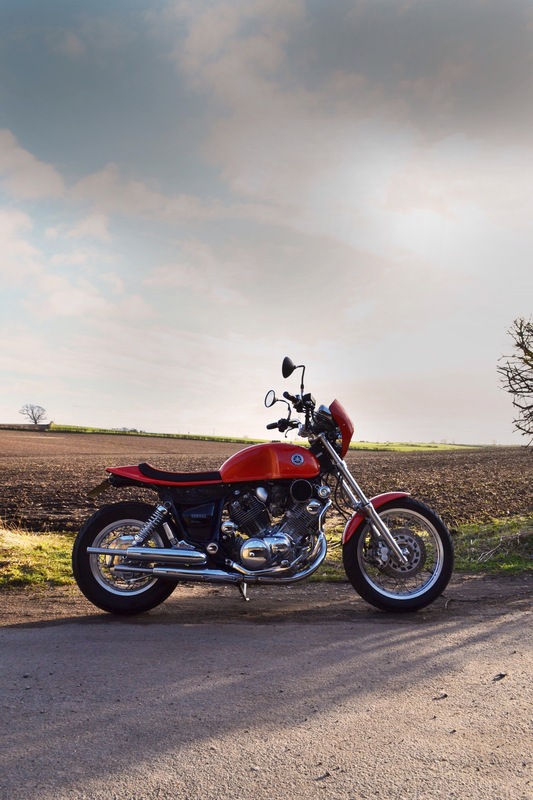 More proof that it does not take huge money and big cc to build a cool bike. Congratulations Amli. Hi.my name is Amli from Malaysia..this is my weekend project..just completed 3 weeks ago..This bike originally is Yamaha RX-K with 135 cc..I decided to convert it to Cafe Racer..This is the end of the weekend project. 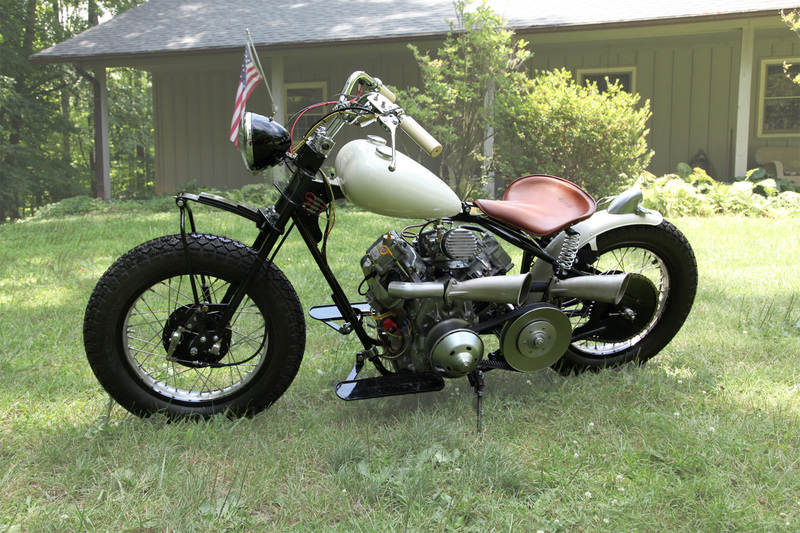 Another outstanding build from regular contributor Ken Fontenot and our friends at Cycle Sports of Houston. 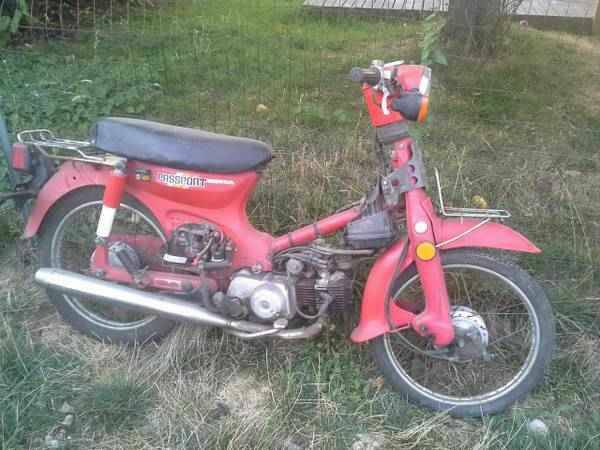 If I wasn’t too big for these little Honda’s I’d build one tomorrow. 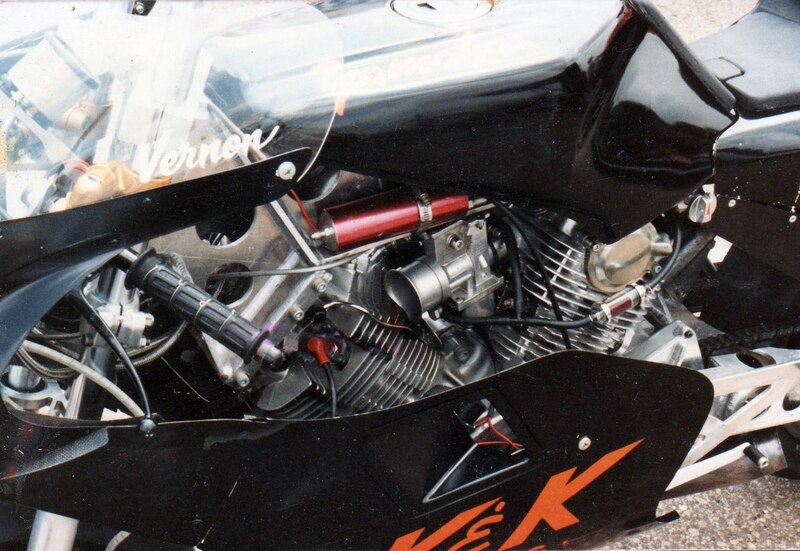 Here it is with the recently posted Suzuki 2 stroke. That’s a hell of a nice set! That exhaust is a work of art. A customer of ours decided he wanted to have fun doing some vintage racing. 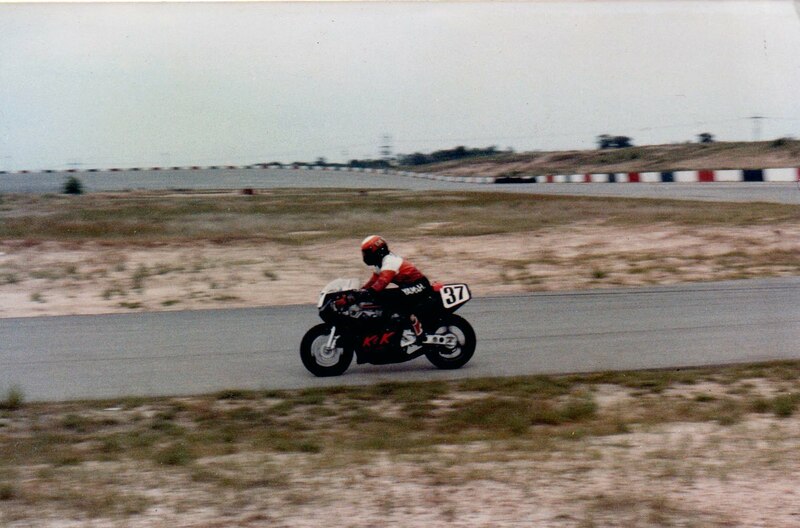 He looked at options and decided that the guys racing the Honda 160’s were having the most fun of all the classes in AHMRA (American Historic Motorcycle Racing Association) so he decided to find a bike and have something built. 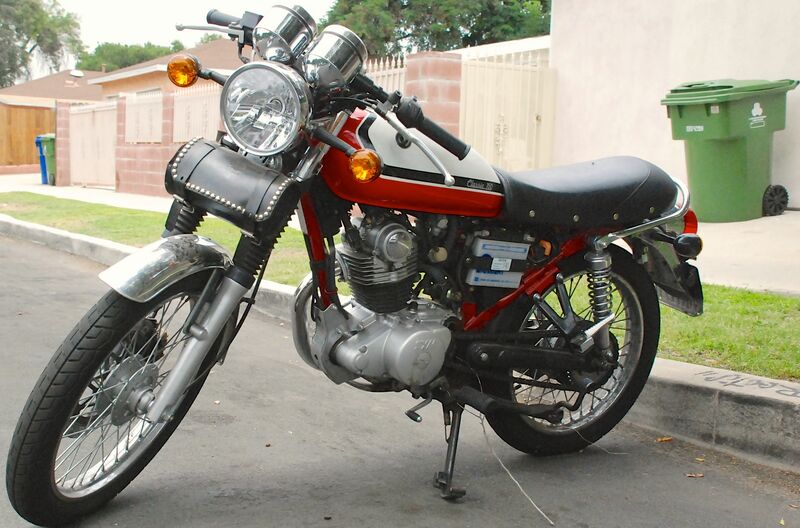 He found a stock ’68 Honda CB160 in San Diego in absolutly terrible condition, rusted badly and everything locked up. 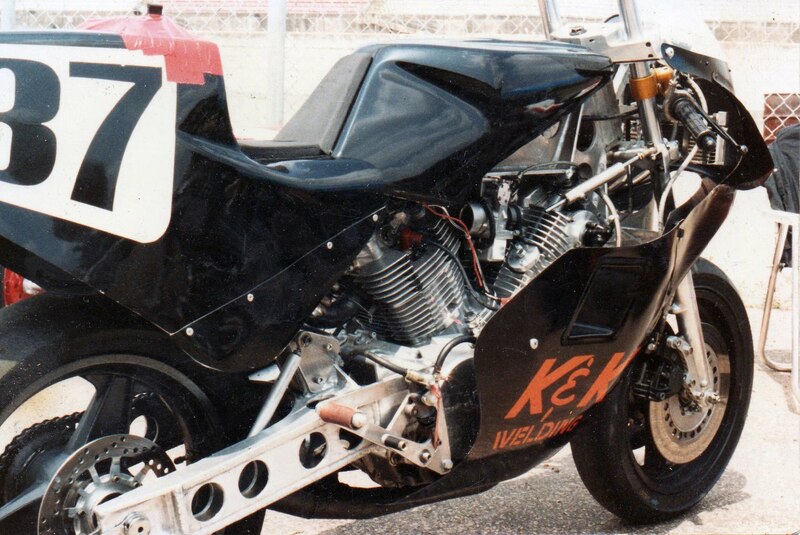 It was delivered to our shop here in Houston and we began by dissassembling the entire bike and evaluating everything…..it needed everything. We sandblasted the frame, cut off most of the unneeded parts, painted it gloss black and put it on a lift. From there we started either replacing, repainting, replating or refurbishing every part, nuts and bolts included as we put them back on. 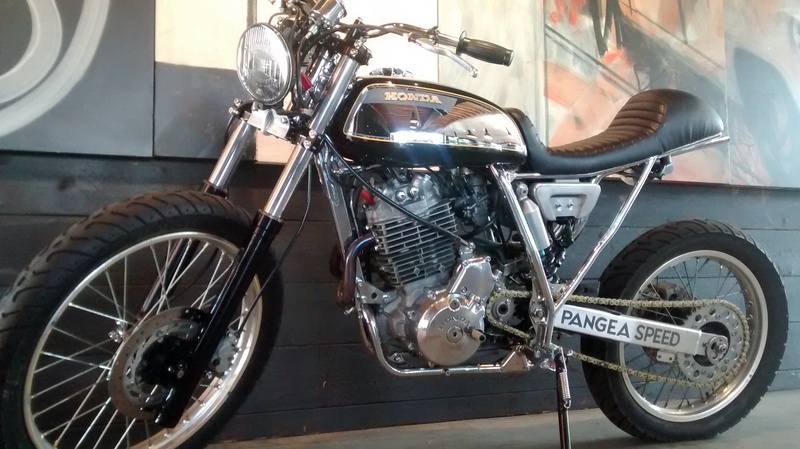 Mark Shim owns several restaurants and when he is not riding one of the bikes in his collection or racing them he displays them in his restaurants…..Ya know, like art. 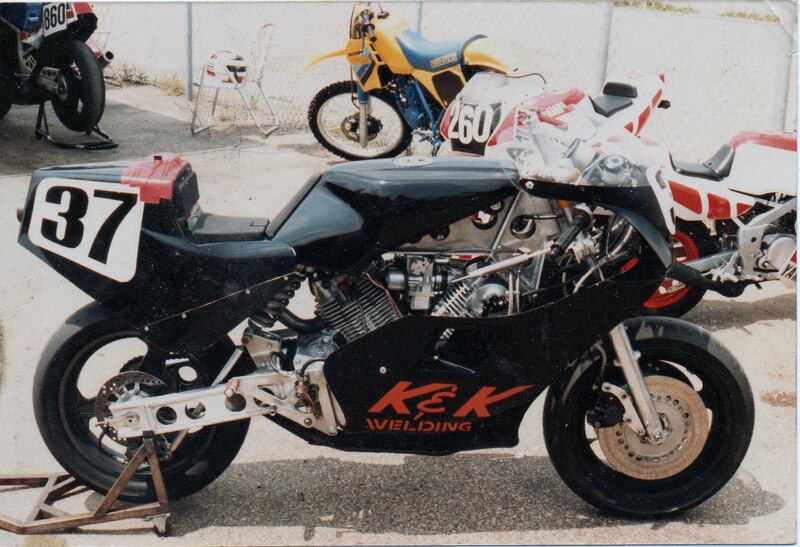 So we decided this was going to be a VERY nice race bike with lots of attention to detail. We rebuilt the engine completely, put in 2mm oversize, higher compression pistons, new valve train, and replaced lots of worn out parts and did a lot more custom work that we won’t discuss. We painted the engine cases satin black, covers gloss black or polished, sanded the fins down and had a nice engine to bolt back in. Mark handed a seat/tailsection to us that he bought years ago and said this is the color scheme. We painted the tank black & yellow to match, ordered a Dunstall 1/4 fairing, painted it, made custom brackets and bolted it all up. 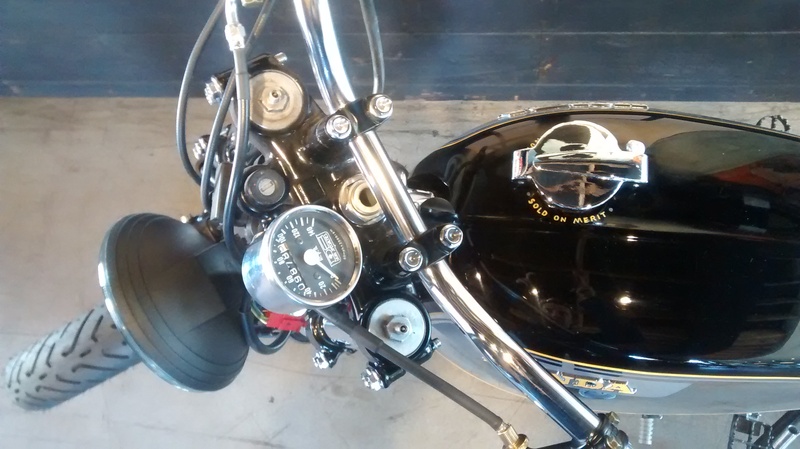 We had Shane Davis at graphtec make a set of tanks badges with the old dodge “Super Bee” as a guideline changed up to look like Mark with his vintage shorty helmet and goggles he likes to wear. They set the tank off really well! Thanks Shane! We used slightly modified stock carbs, painted and polished them and got a set of really nice velocity stacks. John Easton over at Jemco Exhaust systems, down the street from us built a killer looking Exhaust system, had it nickel plated and I must say, its the best sounding 160 I have ever heard! He made a jig if anyone wants one of these systems he can build one for you. He can be reached at 713-461-3834. We found some nice aluminum rims, powdercoated them gloss black, installed stainless spokes, race spec Avon vintage tires and wheels were ready. 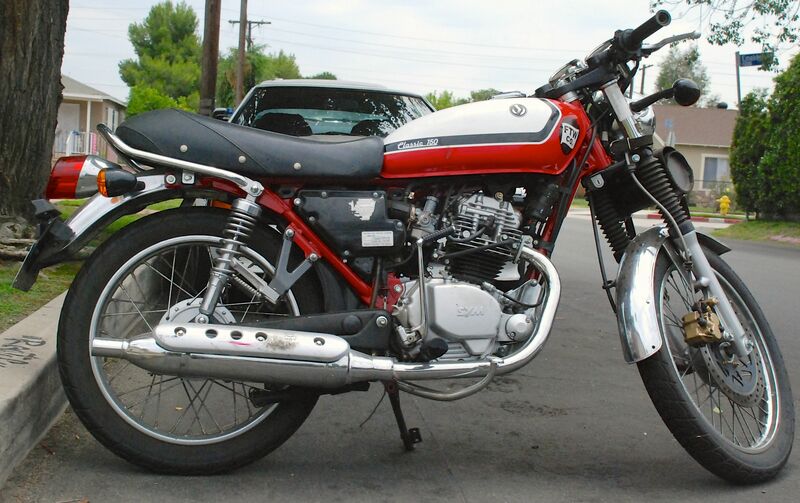 We found a ’74 TA-125 Yamaha road race front suspension, rebuilt it, made a few modifications, installed some tapered roller bearings, installed a set of Hagon rear shocks, new swingarm bushings and we had suspension. We rebuilt all the brakes, and made the hardware look as good as the rest of the bike. Marc LaNoue at Metal Cutting Specialties did all the waterjet work on the brake hubs and chainguard. 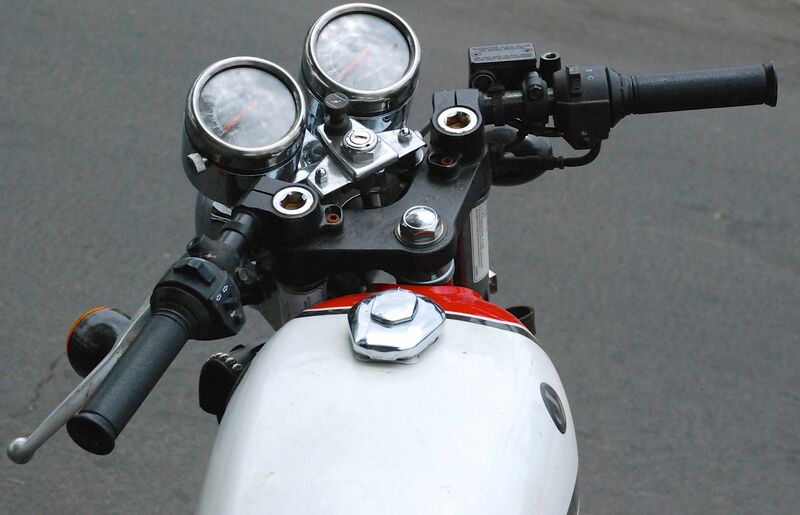 Moto-Bits provided a set of rearsets that work really nice. All new handlebar controls, new cables, grips and kill switch and after about a year of messaging the rest of the parts and safety wiring everything we had a race spec ’68 Honda CB160 race bike that seems to work really well on the track and looks good on display. When not at the race track it can be seen at Kapop restaurant in Houston texas. Thanks to all of our friends who helped with the build and a special thanks to Mike Valdez for setting up studio and taking the photos for us!